I have to start with a warning; this may be the stickiest dough EVER! That said, I was very surprised at how well these turned out. I chose this recipe because the dough was made in a food processor. I think I will experiment with other recipes that measure the flour by ounces, I think my dough was a bit wet. My only other addition would be a touch more salt. Make sure you cook these at a very low heat. I did use clarified butter to cook mine, which was nice, but not a necessity. The next time I may just use cooking spray. 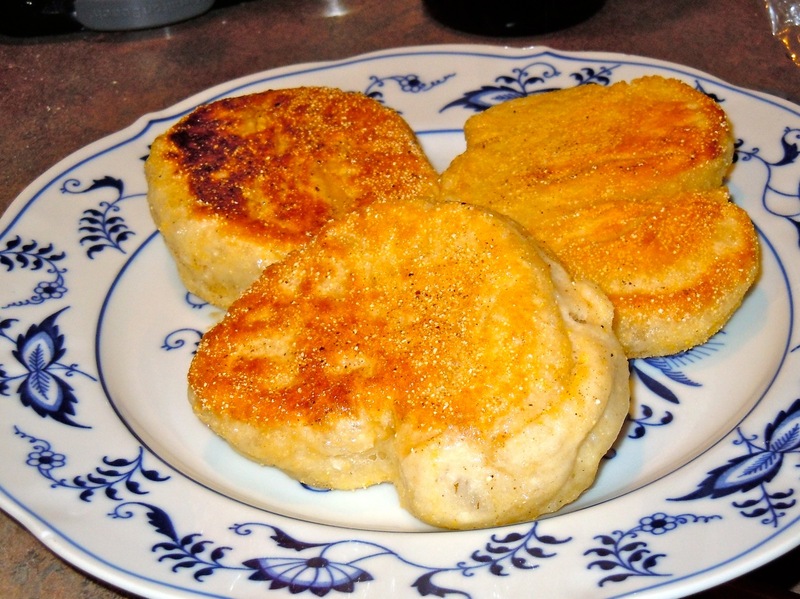 The next morning we served these toasted with a poached egg and they were quite yummy. In a food processor bowl fitted with the steel blade (don’t use the dough attachment), pulse together the yeast, sugar and 1/2 cup of water. Cover and let sit for 5 minutes to proof. It should be frothy with bubbles on top. Add flour and salt and pulse a few times to just mix. Add 1/2 cup of the water and the milk through the feeder tube, while pulsing. 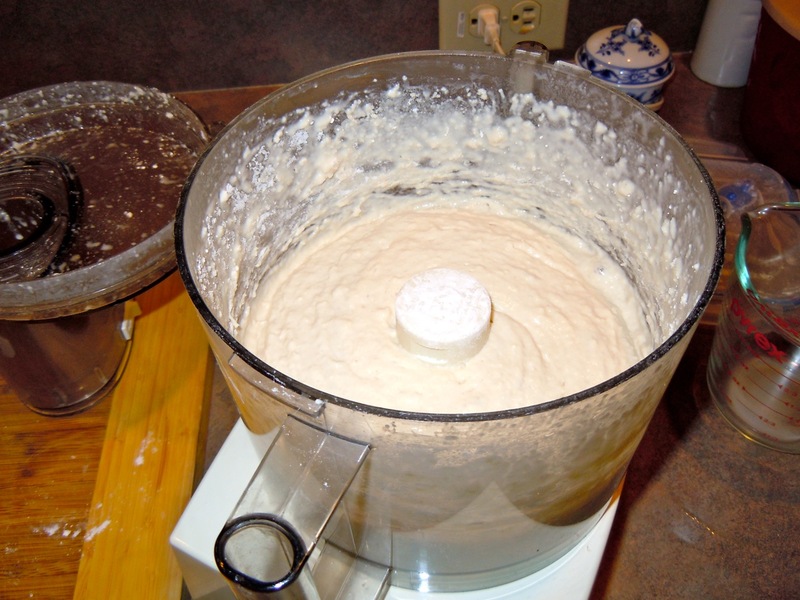 The dough should be loose and sticky, so add more water if needed. Pulse until just blended. Don’t let the food processor motor labor or heat up. Let the dough rest for 5 minutes while covered. This allows the wet ingredients to combine with the flour. Pulse about 20 times to knead the dough Again, don’t let the machine labor and heat up. Using a rubber spatula, turn the dough into a large, lightly oiled bowl. 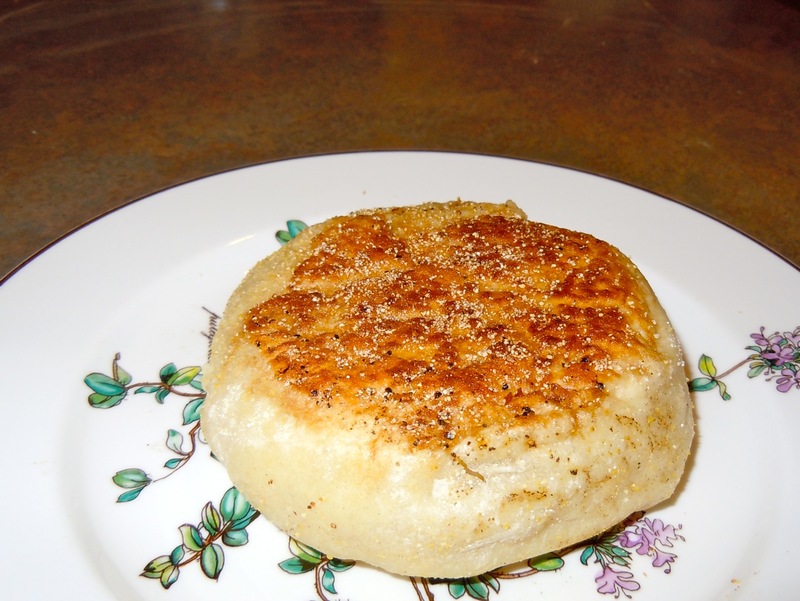 The dough should be soft, slightly loose and sticky. This will take 1 1/2-2 hours, depending on how warm your room is. 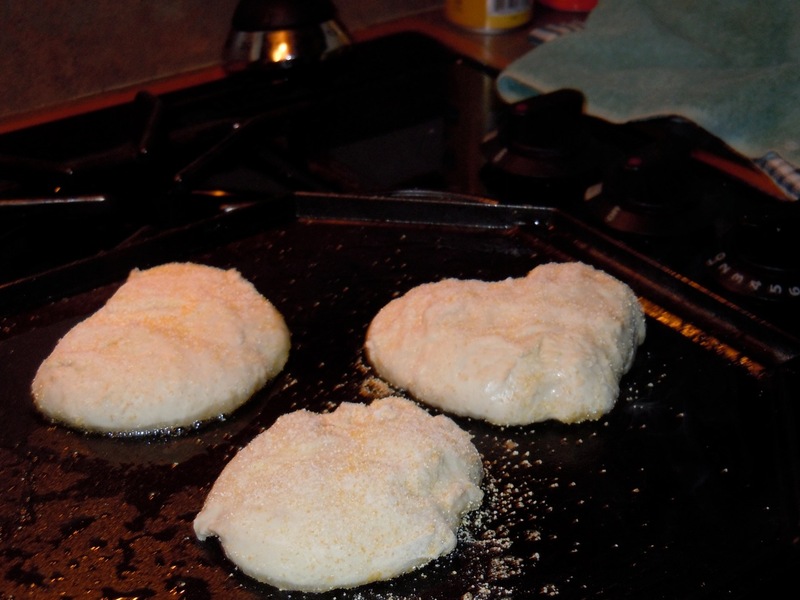 Lightly flour a pastry board or work surface; sprinkle with cornmeal. 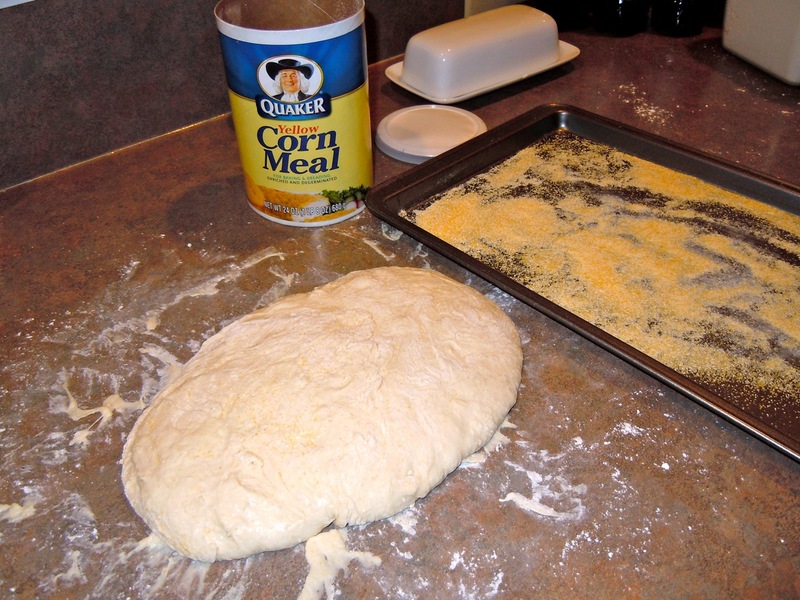 Turn the dough out onto this surface and sprinkle lightly with flour and cornmeal. Using a bench scraper, work flour underneath the dough. Pat the dough to a thickness of about 1-1 1/2 inches, making sure it is lightly covered with flour. You want the flour to stay on the surface and not get worked into the dough. Remember, loose and sticky dough helps form the nooks and crannies. Using the bench scraper, cut into 8-10 evenly sized pieces. Eight will make larger muffins and 10 pieces makes medium sized. Sprinkle cornmeal on a parchment lined cookie sheet. Take each piece of dough and fold the edges under to make a ball. They will be 3-4 inches round. Sprinkle with cornmeal. If the muffins are on the larger side they will probably need more cooking in the oven. Just check the inside to make sure they are not still doughy. If they need more cooking, bake in a preheated oven at 375℉ for about 5-10 minutes. Let cool, Fork split and toast.